Everyone has an opinion about parenting, whether they are a newbie parent, a rookie parent, or not a parent at all. There are several controversial parenting habits that have been going around for quite some that are relatively new. Either way, everyone has an opinion about what parents are doing with their baby- in laws, the neighbor, and the lady in the checkout line in Target. Every parent is concerned to some degree about the well- being of their child. There are pros and cons to every parenting decision, and being informed about the facts of parenting habits (not biased opinions) can save parents from really harming their baby. We have compiled a list of 15 parenting habits that are very controversial and looking into how they can be harmful. We are not judging you, we are only informing you of potential risks. It is important to note, there is a ton of research done on these topics and before making a decision that has to do with one of them it is best to talk with a family doctor. Every parent has the right to do what they want with their sweet little bundle of joy, but there are hidden dangers that some do not even think about. To each and their own, but being educated is always best. What is cuter than a little baby wrapped up like a burrito? Swaddling your baby too tight may result in hip problems. Another risk of swaddling is overheating which can put your baby at risk for SIDS. Swaddling can increase the chance that your baby will overheat. Babies swaddled and placed on their sides or stomach have an increased risk for SIDS as well. If a swaddle becomes unwrapped, there is a chance that can suffocate on the swaddle if it gets in their face. There are many types, brands and techniques when it comes to swaddling you’re your research. 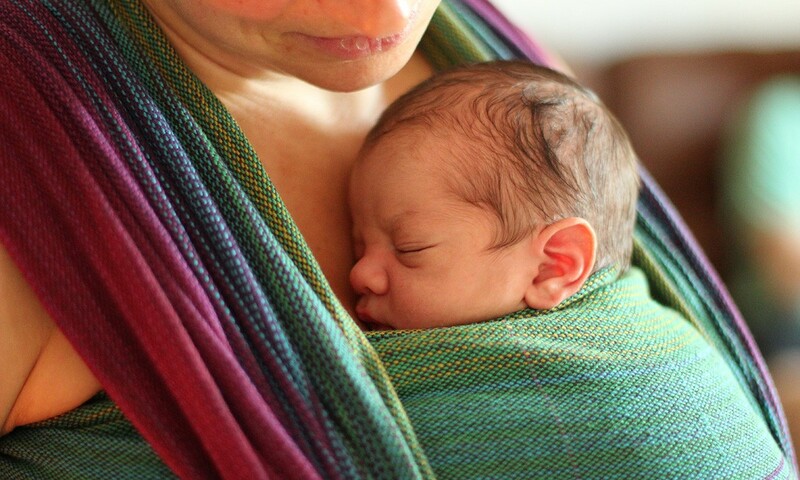 There are ways to swaddle that can eliminate the risks. Swaddling may keep baby quiet and sleeping for longer, but do the risks outweigh the benefits? Some think so. 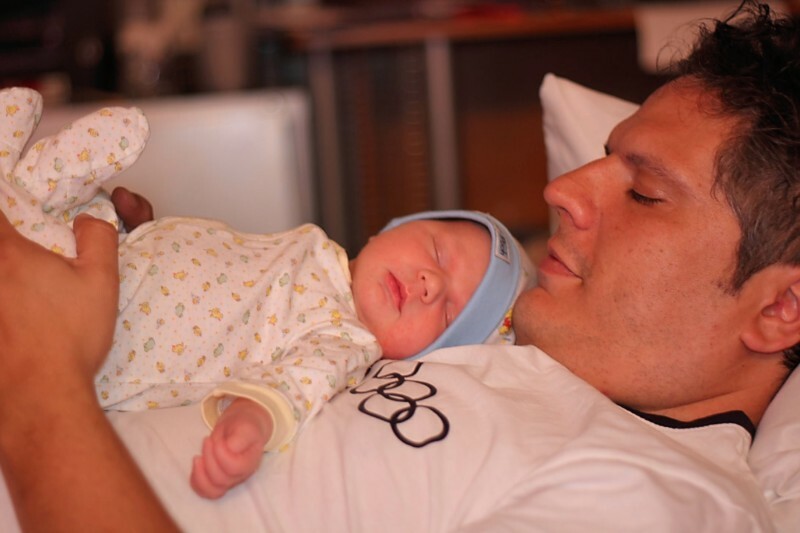 New parents cannot get enough of taking pictures of their adorable newborn. There are so many platforms to show off your new bundle of joy. Did you know that posting pictures to social media can be harmful? There is a possibility that pictures of your sweetie may end up in the hands of a stranger. There is a lot of controversy about allowing strangers with unknowing intentions peek into your private life. Some parents post pictures of their babies and think nothing of it, but there is a possibility that little Timmy will not be happy that 500 of your friends saw him naked as a baby. Some risks are worth taking, and if your picture posting is tastefully done and thought out, you probably have nothing to worry about. During your nine months of pregnancy I’m sure you would need more than two hands to could how many times you were asked if you were going to breastfeed. We all know the amazing benefits of breast feeding, but some say there is a limit to how long you should breast feed for. You do not hear much negative backlash on the benefits of breast feeding, but did you know that extended breastfeeding actually has risks? Some kiddos get used to mama’s milk and they eat less than the recommended amount of food. There is also talk that extended breast feeding can lead to spoiled kids and cause co-dependency. Extended breast feeding may ruin a child’s sense of independence. This is a topic where you can’t please everyone. Its best to educate yourself on the risks and benefits of every decision you make, but either way the world will judge. It may be tempting to put rice cereal in your baby’s - but you might want to skip out. Putting rice cereal in your baby’s bottle could lead to constipation or aspiration. There is a chance your baby is allergic an ingredient, which could lead to an allergic reaction. There have been reports of arsenic in rice cereal, which can cause harm to baby’s intellectual development and immune system. Baby’s realize they are full by the volume of the formula/breast milk bottle. When rice cereal is added baby consumes a large number of calories in turn teaching them to over eat. Then comes the argument of rice cereal as a first food. There is a higher nutritional value in foods such as sweet potato - and feeding your baby rice cereal in replacement of those foods is making them miss out on the nutritionally good stuff. Many parents swear by this and some laugh at the idea of this because “following your babies lead” sounds foreign. The concern here is that there is a risk of choking. Baby led weaning is a way of introducing solid foods to your baby by allowing them to self-feed solid foods and do away with the purees. Allowing a baby to self-feed means they may shovel more food in their mouths than they can swallow. Parents who use this practice give their babies the same food they eat. The issue here is that you may not eat the types of nutrients that baby needs. A lot of foods are high in sodium and low in iron, which may be a concern for your baby’s diet. Some think piercing a baby’s ears is wrong and others think its adorable. There is one big problem- risk of infection. There is also a chance baby can rip their earrings out or that they may be allergic to the metal. This is a cosmetic choice like circumcision. Having your baby’s ears pierced may not be something your child will want when they are older, and some argue that it is not right for parents to make their choice for their kids. It may look adorable, but there are arguments that purposely putting your baby in pain for no needed reason is cruel. When you consider getting your babies ears pierced you may need to think again- do the risks outweigh the benefits? Having your baby’s ears pierced may not be something your child will want when they are older, and some argue that it is not right for parents to make their choice for their kids. It may look adorable, but there are arguments that purposely putting your baby in pain for no needed reason is cruel. This is another topic that most people are one sided about. Every parent is faced with the decision to vax or not. Not vaccinating can be harmful to your baby because it can put them at risk at catching a disease at any time. Its assumed that when you choose not to vaccinate you think the pro’s out weight the con’s, and for some that is okay. On the flip side, some believe vaccinating is pointless because susceptibility is not considered. Every baby is different, right? It is impossible to get rid of all diseases, so some think it’s a pointless practice. There is also the argument that there are harmful chemicals in vaccines. Whatever you choose, there is a chance you may be harming your little bundle of joy. It seems that more parents are keeping their kids rear facing longer than a couple of years ago. 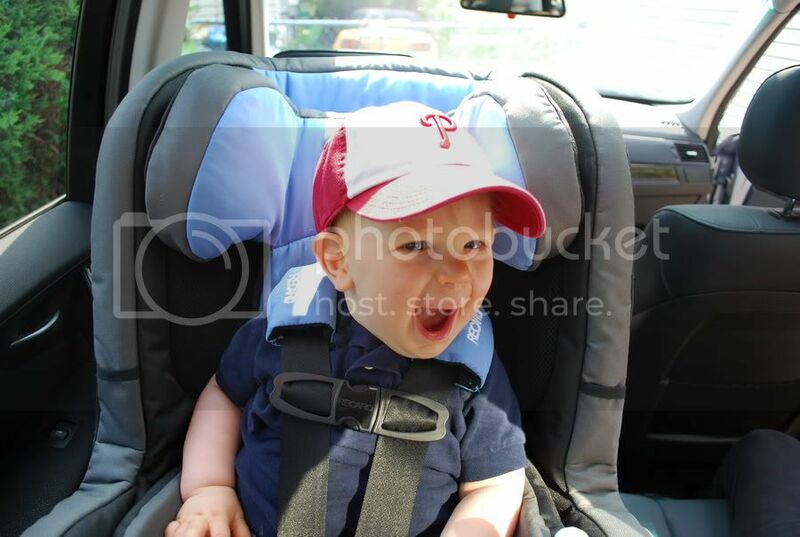 A rear facing car seat provides great protection during an impact for your baby’s head, neck and spinal cords during a crash. There is talk that rear will create a miserable environment for your kiddo. Your kiddo may be squashed in extended rear facing due to lack of leg room. It is advised to wait until age two or until they outgrow the height and weight restriction for their seat to turn them forward facing. Some claim their kids get car sick while others say they cannot tend to their babies needs from the front seat when they are backwards. To each and their own. Bed sharing has its benefits - such as more sleep for everyone, easier time breastfeeding and no night time separation anxiety. To some that sounds like the golden ticket, to others that sounds like a disaster waiting to happen. This is a habit that can potentially be practiced in a safe. For those who do not know the risks, there is a big chance that you could be harming your baby by bed sharing. Some say co sleeping has many safety risks for a baby. Those risks include suffocation, entrapment, or strangulation. Some people believe that once you get your kid in your bed that they’ll never want to leave or stay in way longer than socially accepted. This is another topic where I say- to each and their own. Baby wearing is super convenient- you can cook, clean, and tend to a million other tasks while having both hands free and a quiet happy baby. The issue here is that if not done correctly, baby wearing can cause a few issues. Like with the swaddling, baby wearing can also result in hip dysplasia. Rashes and overheating are other risks that can hurt your baby. Suffocation is also a potential risk along with limited leg circulation. Did you know wearing perfume could lead to irritation on your sweetie’s skin? Baby wearing is being more common- slings, carriers, wraps…there are so many options and techniques. These are all issues that can be avoided by educating yourself and buying the proper baby carrier that works best for you and your baby. We are in the age of technology and as mother’s it can be a savior! Sometimes mama needs a break and the tv is an effortless way to distract kiddo’s. Apparently, doctors aren’t as thrilled about the ideas as some parents may be. Screen time before a year and a half can have negative effects on you baby’s language development, reading skills and short term memory. Babies learn to socialize by face to face interactions with family and friends. There is a chance that when digital screens get in the way of human interaction, there is an increased risk of social and emotional development issues.So while putting a video on your tv or phone sounds like an easy fix, it may lead to other issues down the road. No one wants their baby to be in pain and with so many products on the market to aid in pain reduction it may be tempting to try them out. With a baby may come issues such as teething, fevers, colds, and belly pains. It may seem tempting to run to the store for some teething gel, but did you know there is an ingredient that may cause even worse issues? Lidocaine is common in teething gels and may make it hard for baby to swallow. Acetaminophen is a go-to for pain and sickness. Some parents may give their baby too much medication which can result in an overdose. There is also the risk that baby may get their hands on medication if not properly put away. Gripe water has boomed in popularity. Depending on the brand this may contain alcohol. There are many brands of homeopathic baby medication that are not as accepted by the FDA. Medicating your baby is a “you’re darned if you do, darned if you don’t” topic. Like the previous points, sometimes the pro’s outweigh the con’s, and at the end of the day your mommy (or daddy) instinct will tell you what’s best. Circumcision has benefits such as easier genital hygiene and decreased risk of urinary tract infections. This is a cosmetic practice that some say serves no purpose. Some say a huge con is mutilation to the body. Some also say it’s unfair to do a cosmetic procedure on your baby because that is a decision he should be able to make for himself. You also could be harming your little prince by putting him at risk for infection and improper healing. People are usually very one sided about this topic and this is a big deal to many. You have a lot of decisions to make when your baby comes along and this is a decision that you will be asked about in the hospital. Those who practice attachment parenting seem to have no complaints. They focus their parenting around meeting their babies needs for affection, security, loving care, and positive discipline. To a lot of people, that sounds like a beautiful parenting relationship, and to others it sounds like a nightmare. Some argue that attachment parenting means giving into a child’s demands which in turn can create bratty and entitled children. It “apparently” gives kiddos a message that their angry and sad feelings are so unendurable that they must be prevented at costs. Some argue this method does not allow children to have disappointment. Parenting does not come with a rule book, but it comes with millions of outsiders who have an opinion on every parenting decision. No one likes to hear a baby cry, but sometimes it is what works best for some parents. The cry it out method is a type of baby training that teaches babies to self- soothe. The issue is that letting your baby cry it out can have negative effects on their development. Babies cry for a reason, so ignoring their cries could be dangerous. A lot of the time this method has babies crying so hard that they do not fall asleep from self-soothing, but from crying from exhaustion. This is a parenting decision that will get backlash no matter what the decision- either you are “giving in and spoiling them” or you are “being cruel.” Everyone is a parenting expert, remember?